PST™ is a minimally invasive treatment that allows Dr. Behner to restore gum levels through a small opening in the gum tissue, eliminating the need for incisions and sutures. Anyone experiencing gum recession can benefit from PST™. Even if gum levels have not exposed the tooth root, they may have eroded to the point where the aesthetic of your smile is compromised. PST™ can quickly restore the health and youthful appearance of the gums. PST™ is performed through a pinhole sized opening created in the gum tissue. A unique dental tool is implemented to loosen the gum tissue enough to pull it over the exposed area. The tissue is then held in place with collagen while it permanently heals in its new position. Does PST™ Gum Recession Surgery Cost More Than Other Options? This type of gum recession surgery costs roughly the same as gum grafting procedures. However, due to the fact that PST™ can treat multiple sites in a single visit while gum grafting requires multiple visits for the treatment of multiple sites, PST™ gum recession costs may be reduced for those who need extensive treatment. Does PST™ Treat Periodontal Disease? PST™ treats gum recession, which is a known side effect of gum disease. If you are experiencing the symptoms of gum disease, you will need to schedule treatment for your infection with Dr. Behner before PST™ can be performed. PST™ has greatly improved the way in which we are able to treat and restore receding gum tissues. 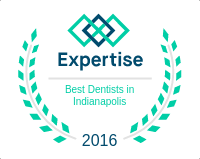 For more information or to schedule your consultation for gum recession surgery with Dr. Behner in Fishers, IN, contact our office today. He and his staff are excited to bring this service to everyone in the Indianapolis area, from Carmel to Noblesville!